Life wisdom comes from unexpected places at unexpected times. 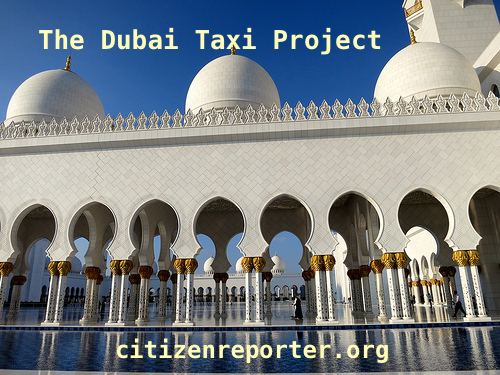 On one particular evening I was making my way from Abu Dhabi to Dubai and I found myself seated next to Mr. AJ from Nepal, a taxi driver-philosopher-extraordinaire. As I got into the car I asked how is life? and his immediate response was, “I am a bad man, I have wasted my life chasing money.” I knew right there, this was going to be an interesting ride. During this long car ride we talked at length about what humans are doing with this planet and with their lives, and what could be done to improve things, and what we as individuals will do in the coming years in an effort to reach that happy place so many of us wish for. It’s an example of taxicab wisdom at its best and a great example of why I wanted to do this series in the first place. What a beautyful episode. Thanks for that. Arne you just reminded me of another problem with using podlove with this type of template. Grrr. I must find a solution. Thanks tho!